Reds are NL Central Champs! Jay Bruce’s ninth leadoff home run lifted the Reds to 3-2 victory over Houston and the National League Central crown. Bruce hit the first pitch of Reds’ nine out to left-center. Volquez strengthened his bid for a postseason start. He went six innings and allowed two runs on seven hits. He walked one and struck out eight. Since his stint at Dayton, Volquez has gone 27 2/3 innings allowed six runs on 17 hits. He’s walked eight and struck out 30. The Reds took the lead in the first. Drew Stubbs and Orlando Cabrera walked. After Joey Votto, hit into a double play, Scott Rolen hit one down the line to third baseman Chris Johnson. Rolen beat it out and Stubbs scored to make it 1-0. Johnson led off the Houston second with a single. An out later, Angel Sanchez singled. Jason Castro got Johnson in with a single. Wandy Rodriguez executed the safety squeeze perfectly to get Sanchez in and make it 2-1. Stubbs saved two runs in the third. Carlos Lee hit a rocket of a line to center. Stubbs sprinted to the wall and made a leaping catch. His head was above the wall at the top of his leap. The Reds didn’t get a second hit until Orlando Cabrera led off the sixth with a single. Votto followed with an single. Scott Rolen came back from down 0-2 to work a walk. Jonny Gomes popped out on the 10th pitch of his at-bat. Brandon Phillips hit a high chopper to shortstop Sanchez. His only play was second. Rolen beat it. Cabrera and scored to tie. Jay Bruce hit one sharply to second baseman Jeff Keppinger, who started a 4-6-3 double play. Guidelines: You share in the this community, so please keep your comments smart and civil. Don't attack other readers personally, and keep your language decent. If a comment violates these standards or our terms of service, click the "X" in the upper right corner of the comment box to report spam or abuse. Tom Groeschen has been Reds backup beat writer for The Enquirer since 2009, working with John Fay. Tom has worked on several sports beats at The Enquirer including Reds, Bengals, UC and high schools, and currently also serves as a general assignment reporter. The Northern Kentucky native lives in Cincinnati. 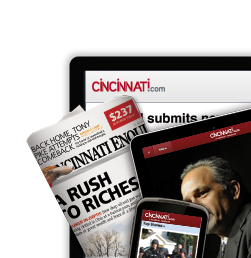 Want Cincinnati.com headlines on your site? Build a widget! Copyright © 2012 news.cincinnati.com. All rights reserved. 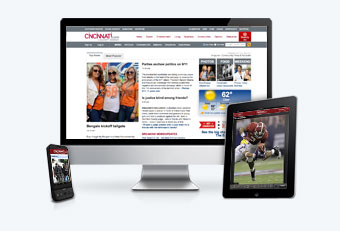 You will automatically receive the Cincinnati.com Top 5 daily email newsletter. If you don't want to receive this newsletter, you can change your newsletter selections in your account preferences.